A celebration of life service will be at 11AM on Monday, April 1, 2019 in the chapel of Pensacola Memorial Gardens and Funeral Home. Interment will follow in Pensacola Memorial Gardens Cemetery. Visitation will begin one hour prior to the service at 10AM. Lola was born on April 29, 1933 to FLoyd Vanderford and Ada Barr in Haleyville, Alabama. 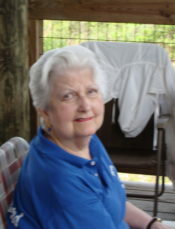 She was a housewife, mother and friend.